The LEGO Movie 2: The Second Part, 2019. Featuring the voice talents of Chris Pratt, Elizabeth Banks, Will Arnett, Tiffany Haddish, Stephanie Beatriz, Alison Brie, Nick Offerman, Charlie Day, Margot Robbie, Jason Momoa, Channing Tatum, Jonah Hill, Gal Gadot, Arturo Castro, Jadon Sand, Brooklynn Prince, Ben Schwartz, Noel Fielding, Ike Barinholtz, Will Forte, Ralph Fiennes, Jimmy O. Yang, Jorma Taccone, Todd Hansen, Maya Rudolph, Will Ferrell, and Bruce Willis. 2014’s The LEGO Movie was such a flabbergasting surprise that it’s not remotely surprising its franchise successors have struggled to recapture quite the same magic. The LEGO Batman Movie was a fun if ultimately forgettable jaunt, and similarly there are few likely to be endlessly quoting The LEGO Movie 2: The Second Part years from now. But if you set your expectations accordingly, returning writers Phil Lord and Christopher Miller have delivered a mostly worthy, endearingly breezy animated follow-up. Following the first film’s climactic Duplo invasion – represented in the “real world” by Finn’s (Jadon Sand) younger sister Bianca (Brooklynn Prince) coming to play – Bricksburg has been mutated into a Mad Max-esque wasteland known as Apocalypseburg. Despite his relentless positivity, Emmet (Chris Pratt) is haunted by dreams of an impending “Our-mom-ageddon” – you can figure that one out for yourselves – all while Lucy (Elizabeth Banks) and most of Emmet’s other friends end up kidnapped by masked DUPLO General Sweet Mayhem (Stephanie Beatriz). Emmet must now fight to save his pals while also keeping the DUPLO at bay and preventing an even greater cataclysmic event. If this movie has any one problem, it’s that it does a lot of things well, yet nothing better or even as effectively as its predecessor. The shock of The LEGO Movie being the furthest imaginable thing from a brand extension exercise – despite absolutely being one – is now a distant memory, and in its bones The Second Part feels like a decidedly more conventional, even complacent animated sequel. The laughs come fewer and quieter, the world-building isn’t as charming and characters both new and old feel a bit under-served at times, with the likes of Unikitty (Alison Brie), Benny (Charlie Day) and Metalbeard (Nick Offerman) especially seeming like afterthoughts. Yet while the first film saved its live-action rug-pull for the third act, the sequel sensibly engages with it head-on from the outset, even if the treacly sibling war between Finn and Bianca lacks the easy charm of the father-son dynamic from the original. Furthermore, the previous film tied the machinations in the Lego world to real-life logic in an impressively tactile and tidy way, yet here things are decidedly looser and ultimately less-satisfying as a result. Though this might all sound like it adds up to a dud sequel, if you can accept that the uniqueness is massively dialled-back here, there is a highly entertaining and oft-charming film to behold. First and foremost, the animation is once again astounding in both its creativity and its physical verisimilitude. Apocalypseburg and the Syster System are rendered with eye-catching vibrancy and meticulous detail at all times, while eagle-eyed viewers may end up distracted by the various scratches and marks visible on the LEGO characters in close-up shots. No matter the film’s faults, it’s clear that a lot of love has been poured into making this an exorbitant sensory feast throughout. And though the humour does indeed feel a step or two below what came before, it’s still a fun experience for the overwhelming majority. 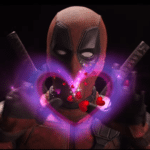 Barely more than a few lines of dialogue pass before another knowing gag has been dropped, and even if they lack quite the same punch in a post-Deadpool movie landscape, it’s still fun to chuckle along with the wink-wink nature of it all. Like its predecessor there are also a bevy of cute surprises in the bargain, largely by way of some unexpected cameos, with one involving a certain A-list action hero categorically stealing the show. Perhaps the movie’s most successful aspect in terms of almost living up to the original film, however, is its music; there’s a surprising quantity of songs here and at times The LEGO Movie 2 almost feels like an outright musical. If you’re simply up for more agreeably doofy laughs with a healthy side order of self-awareness, this film certainly does its job well enough. 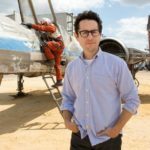 Director Mike Mitchell (Trolls) seamlessly fills in for Lord and Miller, even if their script doesn’t feel as fresh or cohesive as their prior effort. Is it a little disappointing? Sure, but is this still a good movie, and actually quite close to being a very good one? Absolutely. 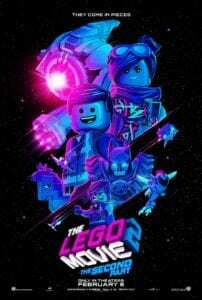 Despite the law of diminishing returns being firmly in effect, The LEGO Movie 2 is an entertaining sequel girded by spritely animation and game vocal performances.